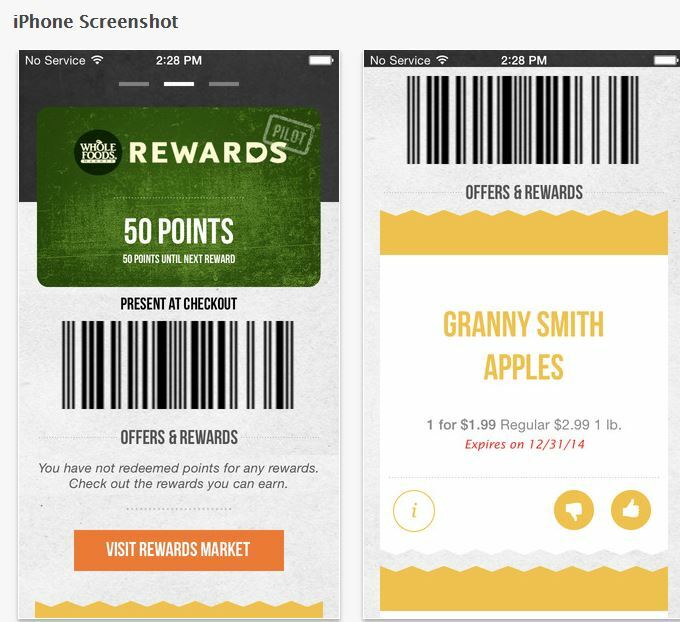 Because of its major footprint in the natural foods category, the launch of a rewards program pilot by Whole Foods Market will get plenty of buzz. This new pilot program is available in 11 stores – 8 in eastern Pennsylvania in and around Philadelphia and 3 across the river in southern New Jersey, including Princeton. You pick up a bar-coded card at a participating location and register that card at the Whole Foods Market Rewards website. No big surprises with this program. It’s an easily understood proposition: earn one point per dollar spent and convert those points to rewards/discounts at the website or using the mobile app. The big questions is – will this be just another passive grocery retail program or will Whole Foods Market leverage the behavior data to create genuinely incremental behavior among their customers? Because of the nature of Whole Foods Market it can appear to be BOTH a retailer and a restaurant. They do quite a bit of prepared foods and dine in + carry out breakfast, lunch and dinner. So their data-driven marketing strategy should reflect that – something that few grocery retailers do very well. But it represents a huge opportunity.